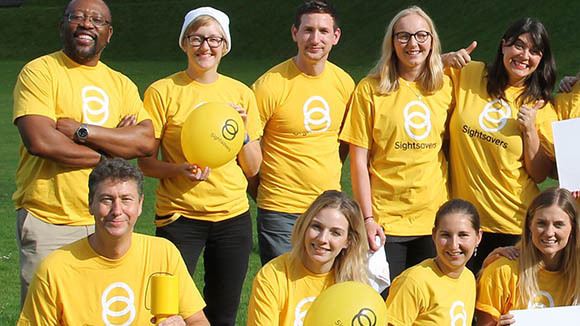 Together we’re doing the amazing job of restoring sight and preventing sight loss. We’re also campaigning for a world where everyone can participate equally in society without fear of stigma or discrimination. And we couldn’t do it without you. We’re so grateful for your support, and we value your trust highly. When you make the decision to support us, we make these promises to you. We promise to put our beneficiaries first and spend our money in the way that’s best for them. We promise to keep you informed about our work and what we’re achieving with your money. We promise to raise money honestly and properly. In the UK, Sightsavers is registered with the Fundraising Regulator and is a member of the Direct Marketing Association . In Ireland, Sightsavers is registered with the Charities Regulator and is a member of Charities Institute Ireland. These organisations oversee our fundraising obligations and regulate our work. We promise we will only email or phone you if you have given us your permission. We don’t make cold calls via telephone to members of the public. Every gift you give helps change lives for people in some of the world’s poorest countries. 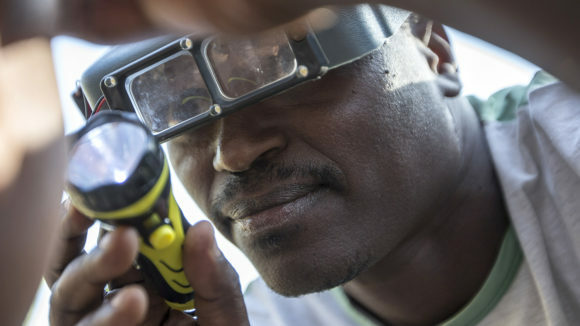 Since our work began, your donations have provided 6.6 million cataract surgeries and 332,000 trachoma operations. Our donors have also helped us to support more than 210,000 people with disabilities, enabling them to live full and independent lives. We think it’s money well spent, and we hope you do too. We’d like you to be happy and proud of the support you give to Sightsavers. To help with this, we aim to make it as easy as possible for you to understand what we do with the information you trust us with. We will never share your details with anyone for their own use or sell your data to another organisation. Your data is precious to us and we take that responsibility very seriously. We will collect the information that you decide to share when communicating with us. This could be in the course of making a donation or signing up to an email newsletter. We won’t go looking for personal telephone numbers or email addresses if you haven’t supplied them to us. We may also receive information about you when you interact with third parties with whom we work, for example if you’ve made a donation to us through a third-party website (such as JustGiving or Virgin Money Giving) and given them permission to share your information with us. We also collect general information about visitors to our website using cookies, including which web pages they look at and for how long. This helps us make our website better and more relevant for visitors. This information is anonymous and cannot be used to identify people. We take a similar approach with the emails we send, tracking how many are opened, and how many people click through to our website. This helps us make our emails better and hopefully more enjoyable for you. We like to communicate with our supporters so you can hear about the work that you’re making possible, and also to give you the opportunity to provide additional support, should you want to. It’s important to our relationship that you only receive information that is relevant to you. By using our data when considering which supporters should receive which communications, we can send less mail and save money. This means we can spend more on our vital life-changing work. To enable us to make sure our communication is relevant and tailored to your interests, we look at the information you give us to try to understand more about you and how you choose to support us. It’s similar to a supermarket loyalty card: a supermarket may look at what you buy in order to send you relevant information. Alternatively, if we’re sending out an event invitation, we don’t want to invite people living in Scotland to an event taking place in London – we don’t think that’s a very good use of your donations. We may also look at other publicly available information that enables us to better understand you, such as postcode demographics. This ensures we can contact you in the most appropriate way. If you have agreed to receive email or text message communications from us, we may provide those contact details to social media or online marketing platforms, in an encrypted format, to help us identify the best people to communicate with about our work and ways to help. This data can only be used for Sightsavers’ marketing and really helps us to spread the word to other like-minded people. We’ll store your information on our secure systems to make sure we have an accurate record of all the donations we receive. This is important for our financial auditing, and also enables us to provide a history to you, should you want it. We sometimes use other companies to help us. This may include companies who print our leaflets, mail our letters or take phone calls. We only provide these companies with the data they need to deliver this work. They are contracted to us through a legally binding contract and don’t keep any data on their systems longer than is absolutely necessary. We also think it’s important to keep our data accurate and up to date, which means each year we compare it to nationally held registers to check for deceased records, or supporters that have moved. If you’d like to check that the data we hold about you is accurate, or want to change your communications choices at any time, contact our UK supporter care team on [email protected] or call 01444 446 600. Alternatively, contact our Irish supporter care team on [email protected] or call 04 663 7666.